The right gaming accessory can change the entire experience of the game itself - whether that's organizing the components of your favorite game, protecting character sheets and cards, or even just enhancing the ambience of your gaming table. Our APN Team rounded up some of their favorites to share with you this week! Not every game has perfect player aids; and I learned early on that creating my own can foster a much better play experience for the other folks at the table. (Nobody needs to sit and watch me rifle through a manual when I forget my turn options or the sequence of play.) The new digital life pads from Ultimate Guard provide a clean, eco-friendly, digital solution to my desire to take notes or create cheat sheets for myself, all while leaving my cellphone OFF the table and therefore eliminating distractions. They come in 5” or 9” sizes, have a stylus that is comfortable to hold and write with, and are affordable enough that I think I might pick up a few extras just to have them on-hand for guests at game night! This will come across as perhaps the most mundane of items to call “life changing”, but not unlike my take on playmats above, I wasn’t always a believer. As I explored the trading card game scene more many years ago I came to understand that card sleeves were so much more than what most see as a way to “protect your investment” (though they do that too). 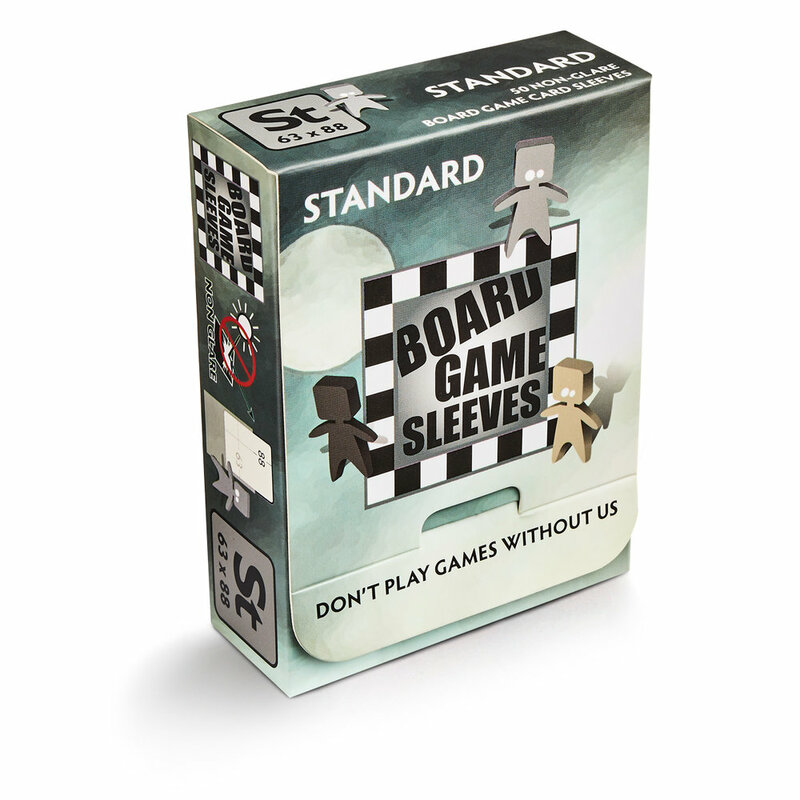 For me, I quickly realized what a difference sleeves made when shuffling a deck of cards, be it in TCG matches where it’s a constant element of the experience, or even in board games that are card-heavy (especially deck-building games!). From there, there were what felt like an overwhelming number of options: What do I buy? What brand? What size? What finish? Art, or non-art? All of these questions have answers (and some of them more important than you may realize! ), but generally speaking I found that matte finish sleeves were the ones for me. Not only do they look super sleek on the table, they feel great and shuffle smoothly as well. I find myself often going back and forth between Dragon Shield’s matte line, or Ultra PRO’s Eclipse line. Can’t go wrong with either! Recently I’ve jumped into playing Dungeons & Dragons for the first time, and I am super pleased with these character folios. Being able to organize my character sheet and spell cards all in one place at my fingertips is perfect. As well as having the ability to write on the sheet protectors and easily adjusting my stats makes learning the game a smoother experience. Having extra storage never hurts either for all the supplementary notes I keep accumulating. Out of all the fantasy creatures, dragons are my absolute favorite. Arcane Tinmen knocks it out of the park with their limited edition playmats. The playmats have stitched, rounded edges and absolutely beautiful artwork. They come with a collectible coin, in either gold, silver, or bronze. With gold being the most rare and bronze the most common. A fun addition is that you can use the coin with the notches on the case to track your life total, and the coin itself is a very comfortable weight. With the huge range of colors available you can bet I have a nice hoard of these playmats! I am the crazy gamer that sleeves everything. The idea of a card game getting all bent up, chipped on the edges, and coated in snack dust is enough to give me nightmares. I used Dragon Shield sleeves for years (also awesome and made by Arcane Tinmen) but they were just a little too rigid for my liking. So I tried out the Board Game Sleeves and instantly fell in love. They are durable, non-glare and shuffle smooth all while being pliable and stackable how I want. They also come in every board game card size you can imagine. Definitely the best sleeves to get IMHO.